I have been making Crockpot Chunky Gingered Applesauce like crazy for the past few weeks. 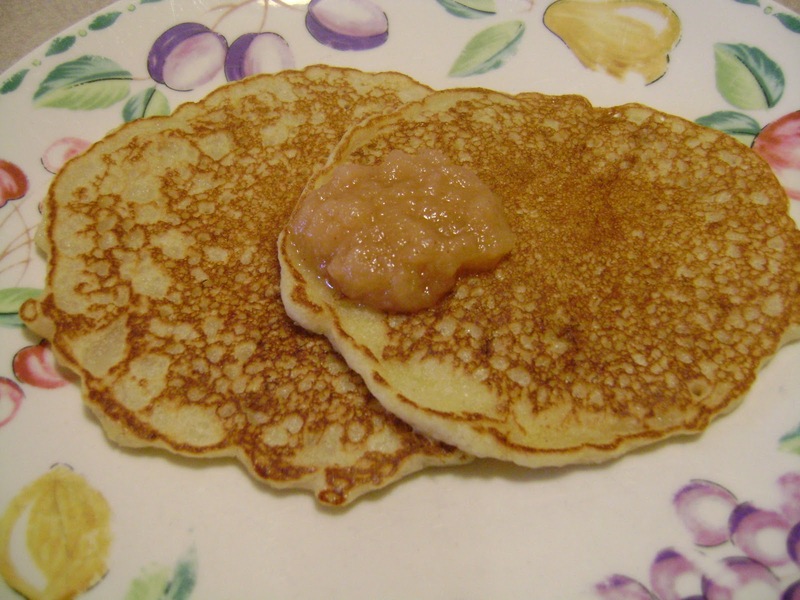 So with so much applesauce on hand, I decided to add some to pancake batter yesterday morning for our weekly Sunday family breakfast. I try to make a nice breakfast each Sunday, and make the whole family sit down to the table for at least this ONE meal a week, teenagers included. Wow...what a delicious treat! The pancakes turned out extra fluffy and tender. Topped with some extra warm applesauce, and it was a double apple treat. Around here, I have become known as sort of a pancake expert. I have made pancakes for my nieces and nephews, my kid's overnight guests, family brunches, school functions....well, you get the idea, I have made a lot of pancakes in my time. I always get compliments on my pancakes...mostly to the tune of "these are the best pancakes I have ever eaten." One time a neighbor's son liked my pancakes so much, I got a call from him mom asking me what I did so special, because he couldn't stop talking about how good they were. I like using a mix. A buttermilk complete mix at that. One that you only need to add water to. I generally use a one to one ratio of mix to water, even though most packages instruct you to use less water. I find making the batter the consistency of cake batter gives you a lighter, fluffier pancake and allows the batter to flow into a nice uniformed circle. 1. Make sure the pan is hot enough before you put the first pancake on to the pan....this is very important. I usually preheat my pan about a good ten minutes on med heat before I attempt to drop a pancake down. 2. 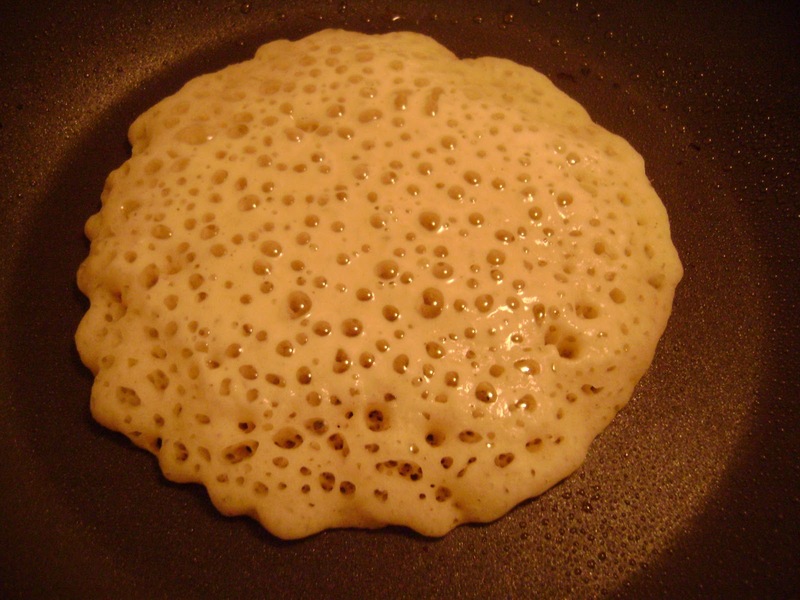 If you are using a fry pan with sides, make only ONE pancake at a time. ( you can do multiple ones on a flat griddle ) This makes the whole process a bit time consuming...but I have learned to multitask while the cake is cooking on the first side to streamline things a bit. 3. 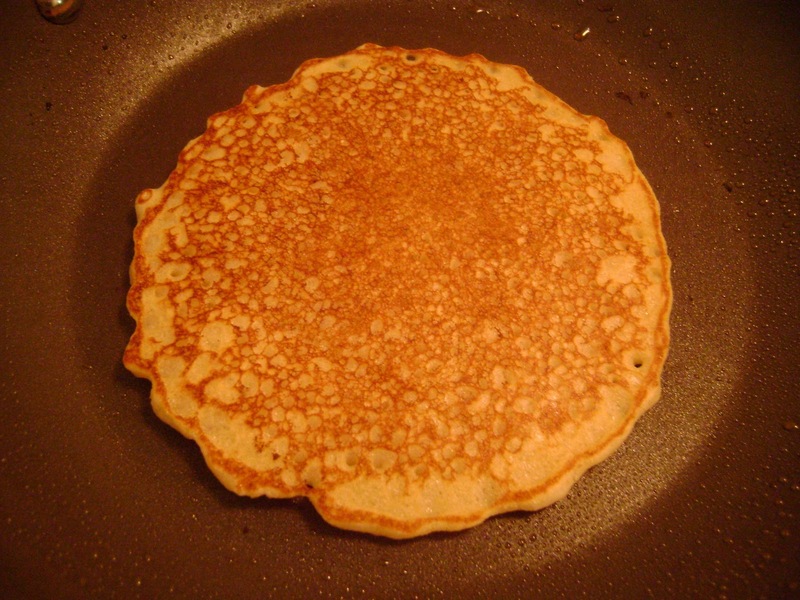 Do not turn the pancake until there are bubbles throughout the entire cake and the edges are just starting to turn dry. See the illustration below. 4. Turn the pancake ONLY once. Constant turning from side to side will make it tough. I like to use a medium nonstick pan with sides and a small amount of cooking spray between cakes. Don't use aerosol cooking spray on your nonstick pans! You'll ruin them - I just learned this, and now I understand I've had so much trouble with nonstick pans over the years. Use a mister instead.